Cigar Box Heroes: Merry Christmas...and looking forward to 2012! Merry Christmas...and looking forward to 2012! what other wargamers are painting and playing. 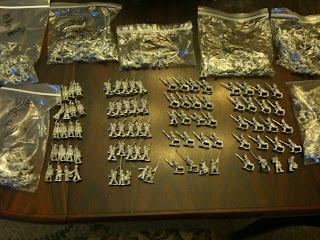 Well one of my big projects for 2012 will be to paint more 28mm ACW figures. 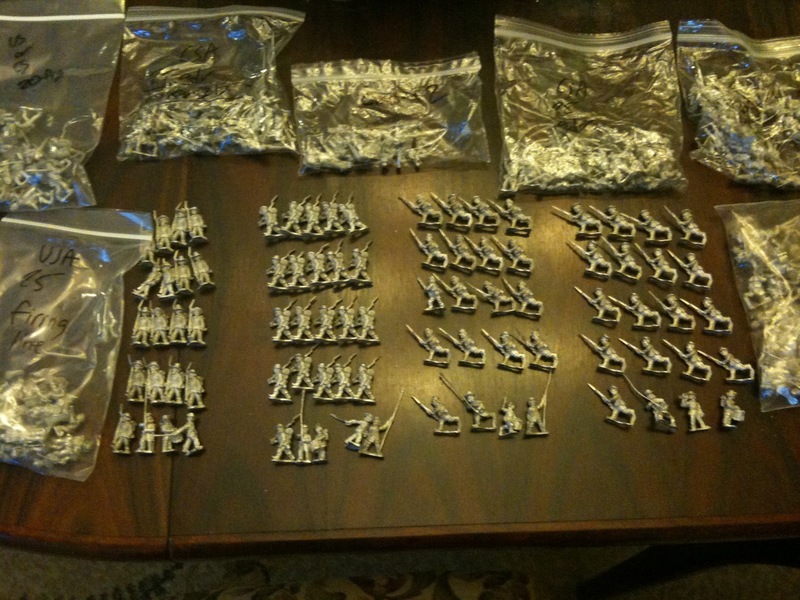 I am planning on running a small 28mm "Johnny Reb" game at Nashcon this year and am using that as an excuse to get crackin' on these guys! What is your project for 2012? nice not to have to use mail order. Support your local gaming store! of the Dixon figs. 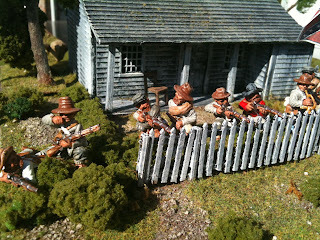 These Rebs are defending a Perry plastic building. You and I must be living in parallel universes. I also purchased a bunch of the Dixon figures and have the Perry house as well. I have painted up 20 or so Union figures for the Pennsylvania Bucktails as well as some of Berdain's Sharpshooters based individually for skirmish gaming. Look forward to those Cory. Happy New Year! What shop are you purchasing your ACW Dixons from, I have been looking for a dealer stateside to purchase from to avoid the heavy shipping charges. Jim, I am buying my Dixon's from Wargames, LLC here in Nashville. He was an importer but has dropped the line. He is selling them off at $.50 figure!